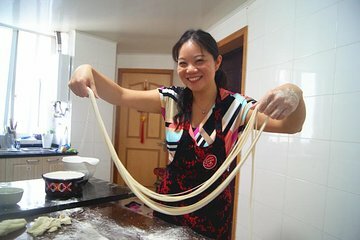 Don’t just eat Shanghai specialities, learn to make them for your family and friends during a noodle-making class that’s an ideal choice for food lovers and first-time visitors. From a professional chef, you’ll receive personalized attention in a small group limited to eight as you master the basics of making la mien, a hand-pulled noodle that dates back hundreds of years. Plus, you’ll take home a recipe booklet as a souvenir.